“Dogs are the only thing on earth that will love you more than he loves himself”. Proud dog owners know just how precious they are and how overwhelmingly true this saying is! And so your furry babies deserve only the best which is where Heads Up For Tails swoops right in with their quirky accessories and customized goodies for your beloved pooches! 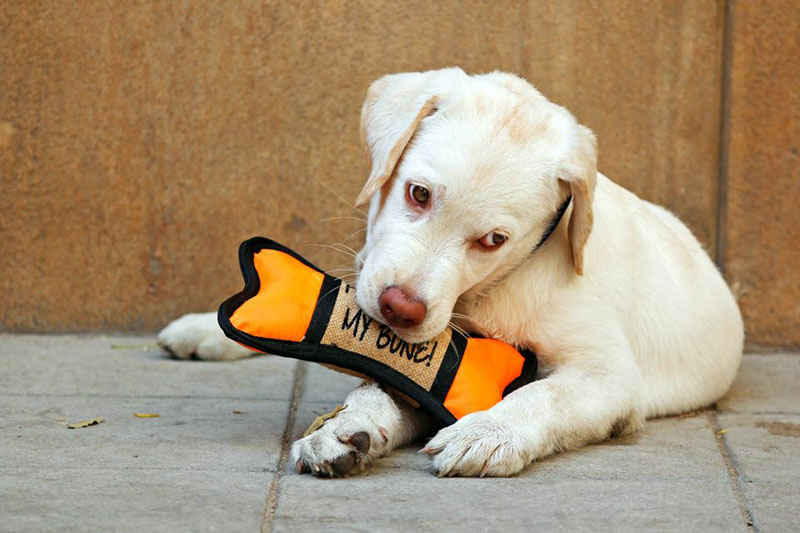 For dogs, toys should be considered a necessity and not a luxury and to make this activity even more fun and exciting for them, Heads Up For Tails has some really cute, durable and squeaky dog toys that will make your pet go gaga. You can find everything from rope toys to fetch & tug, squeaker, chew and numerous other variants! Go buy them some fun friends to play with. 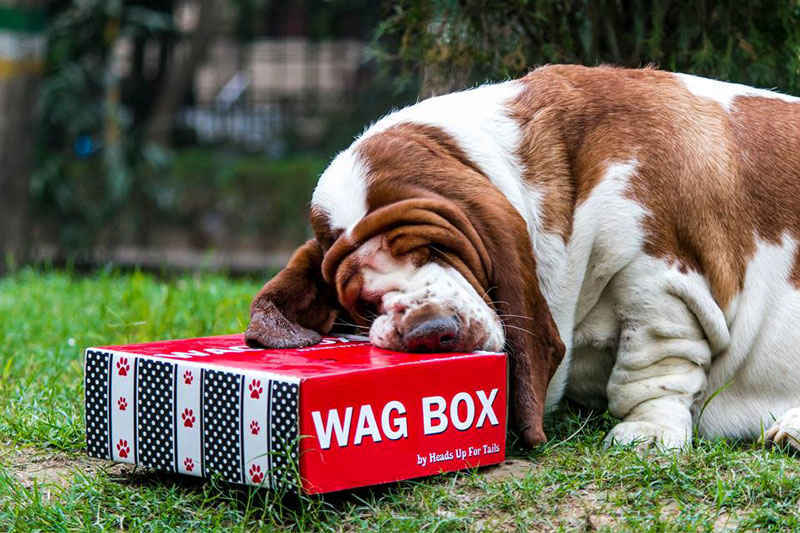 A surprise dog box subscription for pets, Wagbox is a gift that would make your doggie woof and wag with excitement. The concept is very simple, just mention your pet’s likes & dislikes etc. and based on the information, Heads Up For Tails will send you a surprise box for your pet. It is a value for money fun subscription box for your pets and will make your pets oh so happy! How cute do your pets look when they are laden with vibrant and chic accessories. 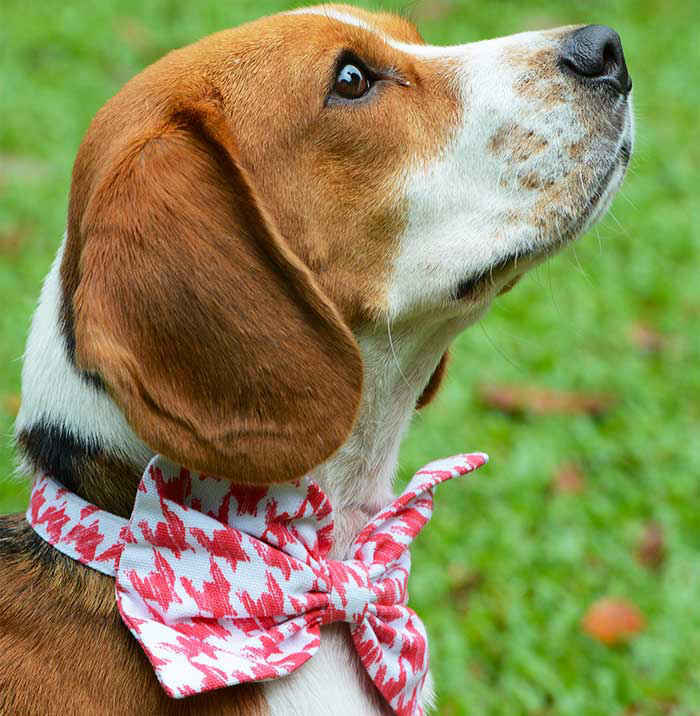 Offering quirky bandanas, bowties, clips, shoes & socks, party accessories and so much more, their collection of dog accessories will certainly leave you spoilt for choice. So go groom your doggies with their offbeat collection. 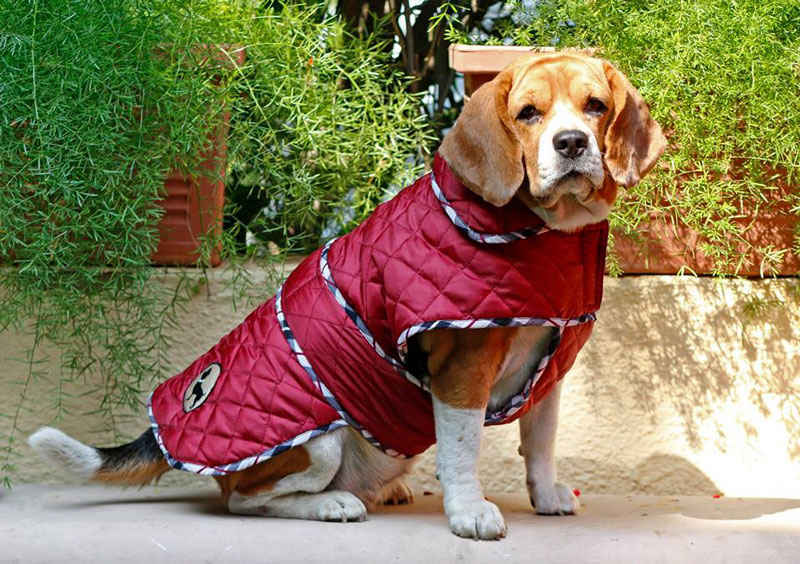 Enhance your pooch’s style quotient with gorgeous dog clothing that also have a functional value to it! They showcase really cute and seasonal clothes to get them through all types of weather. You can browse through colourful raincoats, winter wear, summer wear, occasion wear, dresses and lots more. Believe us, you’ll want them all! 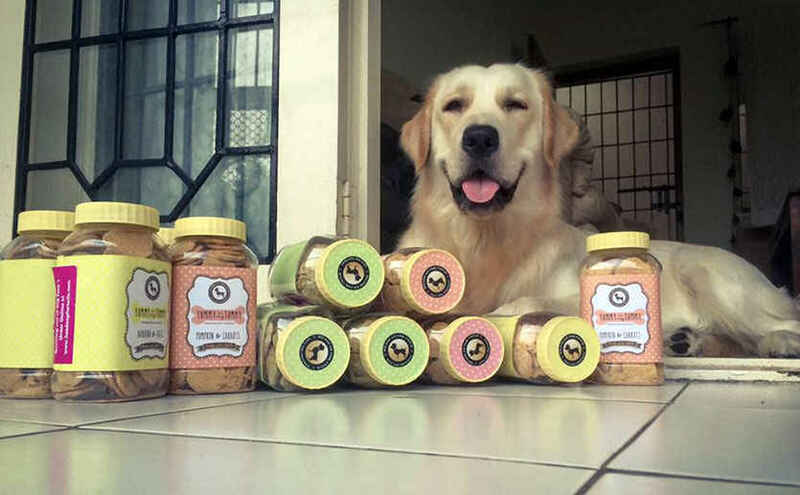 To ensure your furry ones the yummiest and the most satiating of meals, Heads Up For Tails has an amazing array of delicacies to choose from with their dog eats providing scrumptious biscuits that are oven-baked, healthy and made of real human ingredients. To keep your dog happy, they offer Apple and Cinnamon biscuits, Chicken Liver Dog biscuits and much more. Also, they curate and celebrate birthdays like no other with their birthday club. You can order some gifts for your pets through a discounted voucher, and they will add a free gift to your delivery. Go get your pooches registered and enjoy all the sloppy kisses and tail wagging from them. When you love your doggies like your own babies (or maybe, even more), you now know how to pamper them silly!